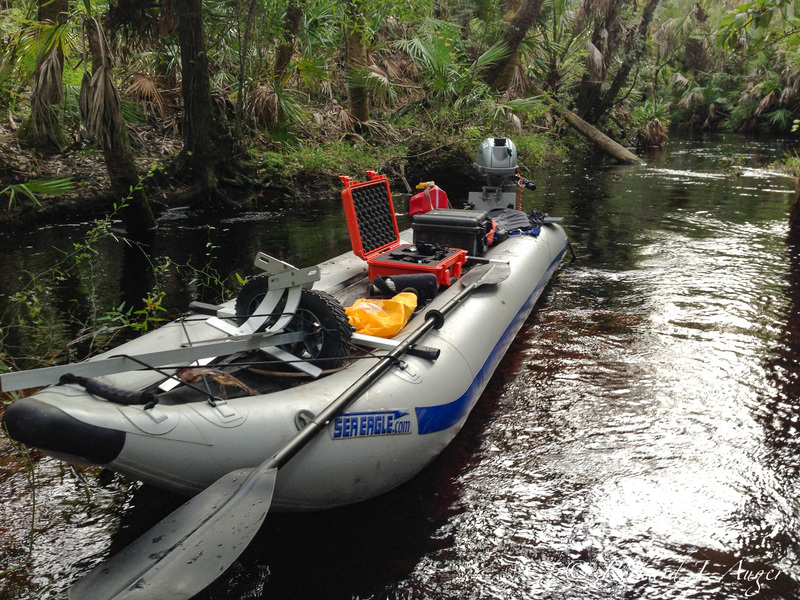 The summer of 2013 saw some pretty high water levels across North Florida, and Telegraph Creek in South Florida was no different. The main problem is how strong the current becomes, almost like rapids in narrow or meandering sections. The second problem is how close the tree branches become to the waterline, forcing me to dodge one banana spider after another. I’ve stood neck deep in dozens of dark, gator infested water without fear, but its the spiders that I find terrifying. The beginning of the run was rather tame, with some hilarious and out of place lamas sitting in the water as part of some kind of exotic animal farm. 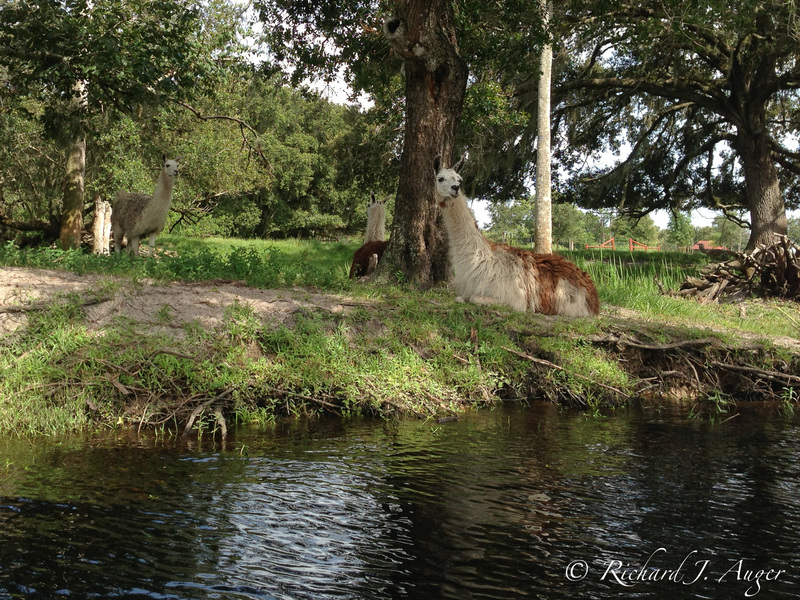 “Lamas in their natural Florida habitat” I joked to myself. I was beginning to lose hope, but enjoying the wild ride on the river. The current was getting faster, the water deeper and deeper. Without my little Honda motor, I couldn’t have made it up the river. I normally love shooting rivers at low water, where their exposed tree bottoms create interesting textures. Even with my 8 foot tripod, most of the river was too deep and moving too fast, but I was enjoying the adrenaline thrill of skillfully twisting the kayak through turns in fast water. Finally, something worth shooting! One interesting sabal palm appeared to be growing out of dead center of a wide portion of the river; but it actually came out of an island that was buried underwater. I jumped out, and took several photos with my film cameras, as well as a color version with my recently acquired Nikon D800E. Normally, this photo would have been mundane in normal conditions, but the unusual water levels created a one-in-a-lifetime composition. I’m glad I took a change and went this far, and enjoyed the reckless, fast paddle back.